After applying new pan card online/offline or request for pan card reprint/change/correction, you can track your PAN card status online using Acknowledgement number, Application Coupon number and PAN card number. As you know, now you can apply for new pan card online using aadhaar card and process is very easy and fast. You can also make changes/correction online if anything wrong information printed on your pan card, also you can request for new pan card without any changes. Your pan card will be delivered within two months depend on your location. See how you can track your pan card status and check where it is. After applying new pan card or request for duplicate pan card or change/correction through NSDL you will get pan card receipt. In this receipt you can see your Acknowledgement number. Step – 3 Next screen you can see your current status. 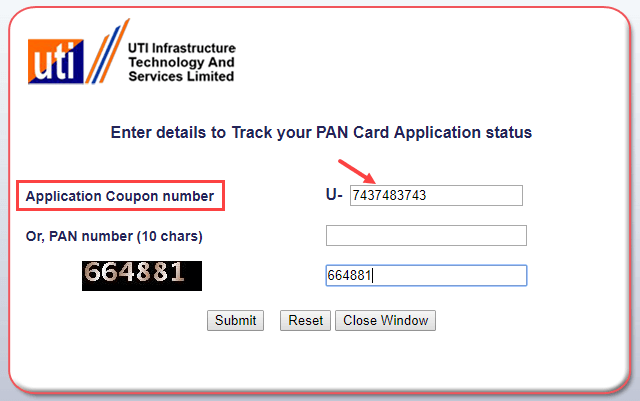 If you applied pan card through UTIITSL, you will receive Application coupon number on receipt. 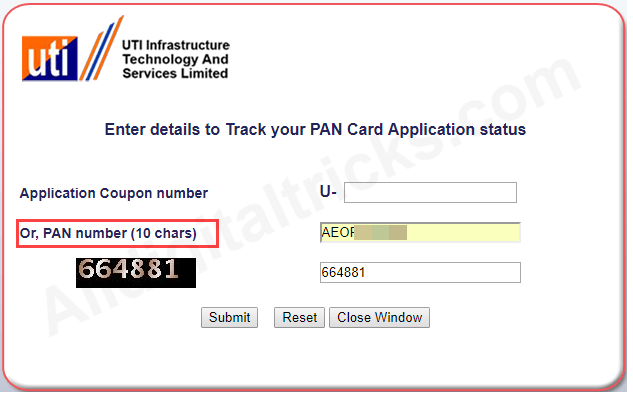 Using this application coupon number you can track your pan card status online. Step 2: Now enter 10-digit Application Coupon Number and enter captcha, click on submit. You can see your pan card stays on next page. 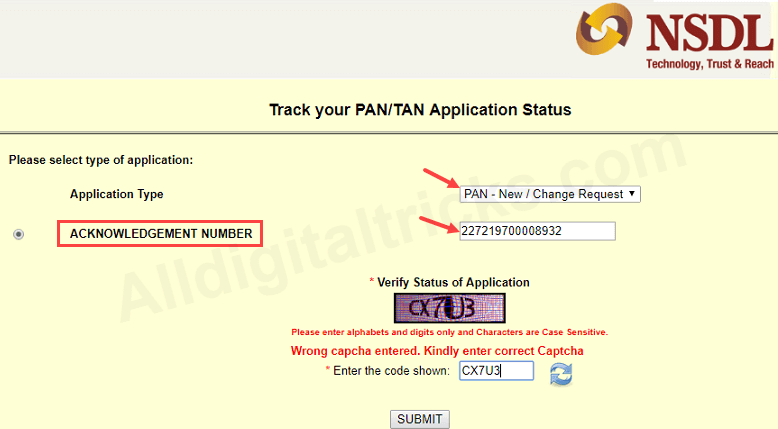 If you applied for duplicate pan card or submit request for change/correction then you can use your pan card number to track your application status. Step 2: Enter your 10-digit pan card number & captcha code and submit. Step 3: You can see your pan status in next screen. 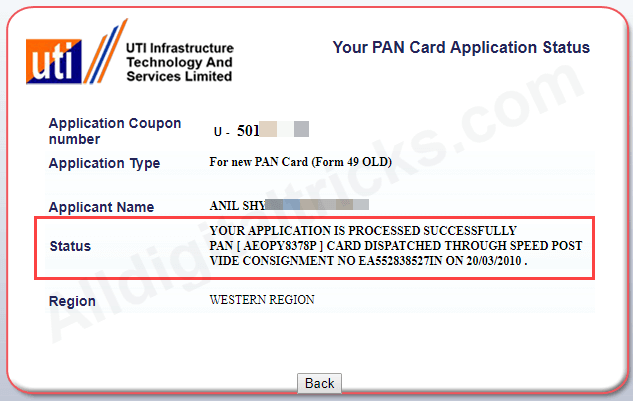 So this is how your can track your pan card status online using Acknowledgement number, Application coupon number and pan number.